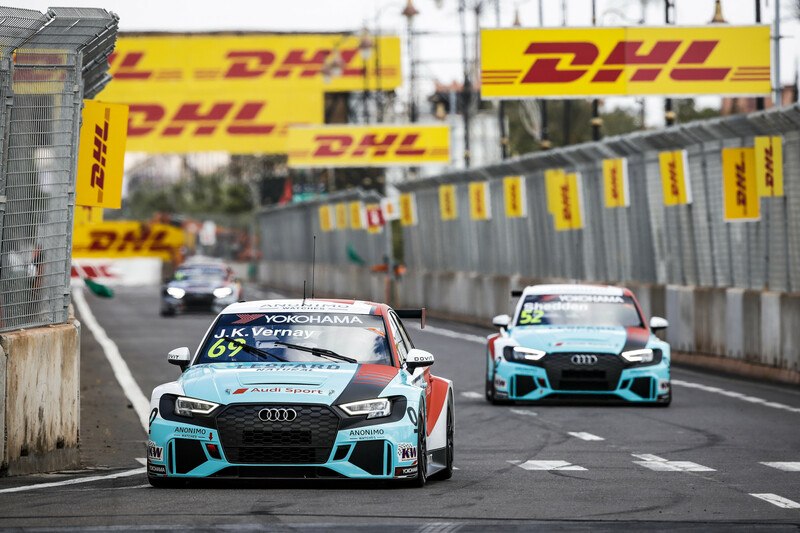 The first race finish in the FIA WTCR by Oscaro 2019 championship is a fact, and Leopard Racing Team Audi Sport has already shown its potential on this first day of the event in Morocco. Prior to Race 1, Jean-Karl Vernay started strong by recording a 2nd time in Free Practice 1, and a Top 10 ranking in Free Practice 2. Subsequently, the Frenchman rode a very strong qualification. "Jay Kay" recorded a 7th time with only a 0.4 second gap with the Pole Position time. With this 7th position, Vernay and Leopard Racing Team Audi Sport were the strongest Audi in the field. The race went very well, and a podium spot for Vernay seemed in sight. However, a 5 second penalty after an unfortunate collision with Priaulx prevented Vernay from holding a bottle of champagne after Race 1. Still, a good number of points was scored with a 7th place at the end of the race. Scottish driver Gordon Shedden drove a strong race, finishing in 15th place. A post race decision to give another driver a 10 second penalty resulted in Shedden moving to 14th place. Tomorrow the WTCR Race of Africa event will be continued, with a qualifying session and 2 races. Below you'll find the timetable.